I’m Allan Chapman, and thanks for being with me this week. I should finish writing the latest Mr. Wugidgem this week and, with some more hard work, will podcast Episode 2 of Mr. Wugidgem And The Faces Of Freedom. 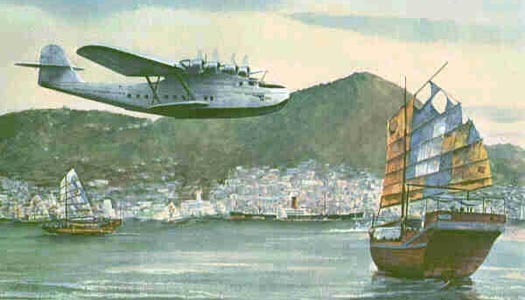 Today I will podcast Episode 3 from my father’s book, Talking To The World From Pan Am’s Clippers. Please send me an email at allanwchapman@gmail.com to let me know if you would like to hear more episodes from my father’s book. Click on the link under the photo to listen to the podcast; you can follow the text as well, which is printed below. What’s the sky like, Dad? Why is it blue? There are “way back when” memories of a little guy named Francis who flew his Grandpa Brewer’s home made kite in a field of new mown hay in York Beach, Maine. Or has the rural country beat. Trying to deliver the mail unhurt. And the papers, too, and other things. Or thunders loud or a strong wind blows. With a pleasant smile, his duty to do.